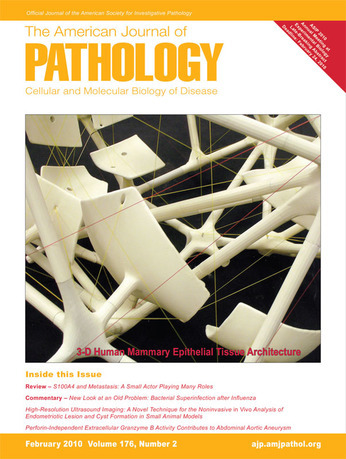 In 2005, Jenny E. Sabin and Peter Lloyd Jones, respectively an architect and cell biologist, initiated a dialogue that aimed to explore new directions and relationships between architecture and biology. 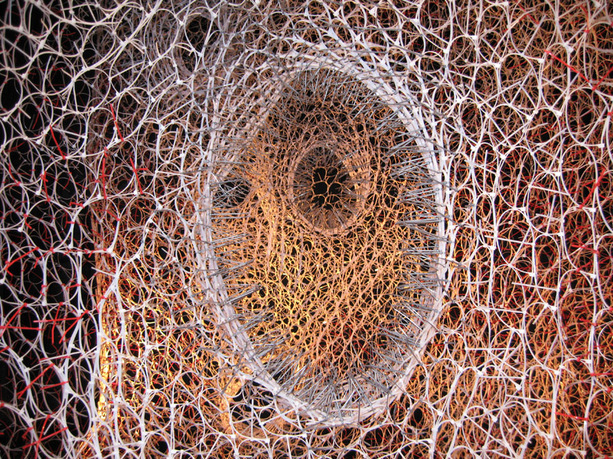 The immediate plan was to expose architects to formerly unseen, multi-dimensional biological systems, with the hope that this interaction would lead to the extraction and abstraction of new biological information, which could then be used to inform and influence architecture and biology at different length scales and multiple applications. LabStudio, which they established at the University of Pennsylvania in 2006 and now has affiliates at Cornell, Stanford, and Harvard Universities, is one result of their ongoing collaboration. Researchers—including post-doctoral fellows and students in the Jones Lab, as well as graduate students in architecture—are paired with one another to explore specific biological systems and design problems. The aim of LabStudio is to highlight and detail this ongoing collaboration. It will include essays on related topics from leaders in both fields. Peter Lloyd Jones is a cell and developmental biologist and was associate professor of pathology and laboratory medicine at the University of Pennsylvania. He was the 2007–08 fellow of the Non-Linear Systems Organization at PennDesign, and director of the Penn-CMREF Center for Pulmonary Arterial Hypertension Research at the Institute for Medicine & Engineering (IME). He taught at the graduate level in the Schools of Engineering, Medicine, and Design, where he initiated a research LabStudio at the IME together with Jenny Sabin. Jones's research work on the molecular and architectural control of lung development, vascular disease, and breast cancer has been published in more than fifty peer-reviewed journals. 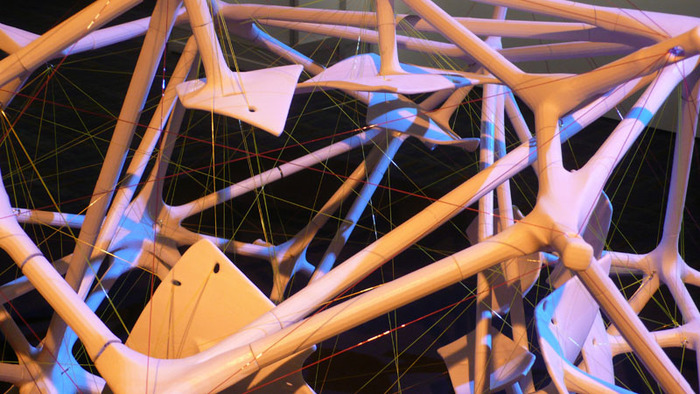 Recently, his ideas on the relationships between biology and architecture have been featured in the Gen(H)ome exhibition at the MAK Center, the Slought Foundation, and 306090. He is the recipient of numerous grants, including support from the National Institutes of Health and the American Physiological Societies (from whom he garnered the Giles Filley Award). Jenny E. Sabin's work is at the forefront of a new direction for twenty-first-century architectural practice—one that investigates the intersections of architecture and science, and applies insights and theories from biology and mathematics to the design of material structures. Sabin is an assistant professor in the area of Design and Emerging Technologies in the Department of Architecture at Cornell University. Sabin taught design studios and seminars in architecture at the University of Pennsylvania from 2005 to 2011. She is principal of Jenny Sabin Studio, an experimental architectural design studio based in Philadelphia. She is also cofounder of LabStudio, a hybrid research and design network, together with Peter Lloyd Jones. She was a founding member of the Nonlinear Systems Organization, a research group started by Cecil Balmond, where she was senior researcher and director of research. Sabin holds degrees in ceramics and interdisciplinary visual art from the University of Washington and an MArch from the University of Pennsylvania, where she was awarded the AIA Henry Adams First Prize Medal and the Arthur Spayd Brooke Gold Medal for distinguished work in architectural design, both in 2005. Sabin was recently named a USA Knight Fellow in Architecture, one of fifty artists and designers awarded the honor nationally by US Artists. Recently, Sabin was awarded the prestigious Young Architects Prize by the Architectural League of New York.